Adobe RGB	1998 and sRGB IEC61966-2.1 (sRGB) are two of the most common working spaces used in digital photography. 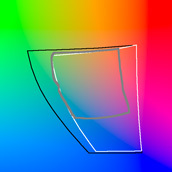 This section aims to clear up some of the confusion associated with sRGB and Adobe RGB 1998, and to provide guidance on when to use each working space. 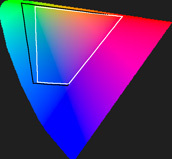 sRGB is a RGB color space proposed by HP and Microsoft because it approximates the color gamut of the most common computer display devices. 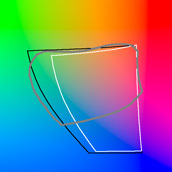 Since sRGB serves as a "best guess" for how another person's monitor produces color, it has become the standard color space for displaying images on the internet. 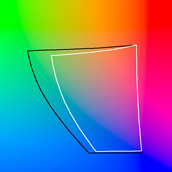 sRGB's color gamut encompasses just 35% of the visible colors specified by CIE (see section on color spaces). 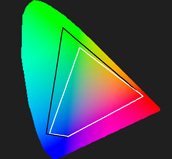 Although sRGB results in one of the narrowest gamuts of any working space, sRGB's gamut is still considered broad enough for most color applications. 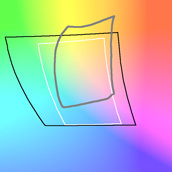 Adobe RGB 1998 was designed (by Adobe Systems, Inc.) to encompass most of the colors achievable on CMYK printers, but by using only RGB primary colors on a device such as your computer display. The Adobe RGB 1998 space encompasses roughly 50% of the visible colors specified by CIE — improving upon sRGB's gamut primarily in cyan-greens. The following color gamut comparison aims to give you a better qualitative understanding of where the gamut of Adobe RGB 1998 extends beyond sRGB for shadow (~25%), midtone (~50%), and highlight colors (~75%). 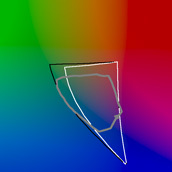 Comparison uses CIE L*a*b* reference space; colors are only qualitative to aid in visualization. Note how Adobe RGB 1998 extends into richer cyans and greens than does sRGB — for all tonal levels. The 50% luminance diagram is often used to compare these two working spaces, however the shadow and highlight diagrams also deserve attention. Adobe RGB 1998 extends its advantage in the cyan-greens for the highlights, but now has advantages with intense magentas, oranges, and yellows — colors which can add to the drama of a bright sunset. Adobe RGB 1998 does not extend as far beyond sRGB in the shadows, but it still shows advantages in the dark greens (often encountered with dark foliage). All of these extra colors in Adobe RGB 1998 are great for viewing on a computer monitor, but can we actually reproduce them in a print? It would be a shame to edit using these extra colors, only to later retract their intensity due to printer limitations. The following diagrams compare sRGB and Adobe RGB 1998 with two common printers: a Fuji Frontier (390) and a high-end inkjet printer with 8 inks (Canon iP9900 on Photo Paper Pro). A Fuji Frontier printer is what large companies such as Walmart use for making their prints. We see a big difference in how each printer uses the additional colors provided by Adobe RGB 1998: The Fuji Frontier only uses a small patch of yellow in the highlights, whereas the high-end inkjet printer exceeds sRGB for colors in shadows, midtones, and highlights. The high-end inkjet even exceeds the gamut of Adobe RGB 1998 for cyan-green midtones and yellow highlights. The printer should also be considered when choosing a color space, as this can have a big influence on whether the extra colors are utilized. Most mid-range printer companies provide a downloadable color profile for their printer. This color profile can help you achieve similar conclusions to those visible in the above analysis. 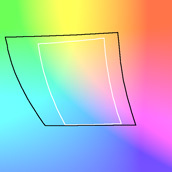 A similar concentration of bit depth occurs with sRGB versus Adobe RGB 1998, except in three dimensions, and not quite as dramatic as demonstrated above. 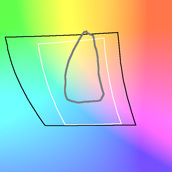 Adobe RGB 1998 occupies roughly 40% more volume than sRGB, so you are only utilizing 70% of your bit depth if the colors in Adobe RGB 1998 are unnecessary (for evenly spaced bits). On the other hand, you may have plenty of "spare" bits if you are using a 16-bit image, and so any reduction due to your choice of working space might be negligible. My advice is to know which colors your image uses, and whether these can benefit from the additional colors afforded by Adobe RGB 1998. Ask yourself: do you really need the richer cyan-green midtones, orange-magenta highlights, or green shadows? Will these colors also be visible in the final print? Will these differences even be noticeable? 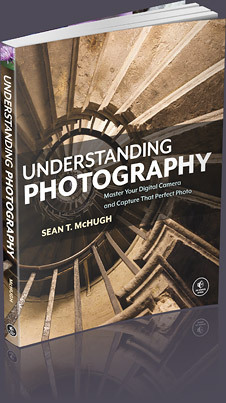 If you've answered "no" to any of these questions, then you would be better served using sRGB. sRGB will make the most of your bit depth because it allocates more bits to encoding the colors present in your image. 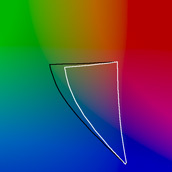 In addition, sRGB can simplify your workflow since this color space is also used for displaying images on the internet. What if you desire a speedy workflow, and do not wish to decide on your working space using a case-by-case method? My advice is to use Adobe RGB 1998 if you normally work with 16-bit images, and sRGB if you normally work with 8-bit images. Even if you may not always use the extra colors, you never want to eliminate them as a possibility for those images which require them. 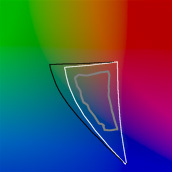 When the two are compared using the CIE u'v' reference space, the advantage in greens becomes less apparent. In addition, the diagram on the right now shows Adobe RGB 1998 having similar advantages in both the cyans and greens — better representing the relative advantage we might perceive with our eyes. Care should be taken to also consider the influence of a reference space when drawing conclusions from any color space comparison diagram.